Get cast in a small role on Stranger Things. 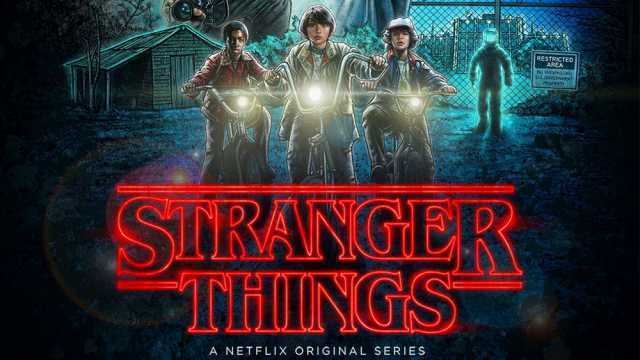 Netflix, Science fiction, supernatural drama, “Stranger Things” is now casting extras in the Atlanta area. Now, this is a casting for extras rather than a general audition for a speaking role, but fans of the show who live in the area may be able to get into the act, or so to speak. The show is filming the new season of the hit Netflix show in the Atlanta area and has casting calls out for area locals that would like to work as paid extras on set. Atlanta area extras casting is being Handled by Casting Taylormade. If you live in the area, you may check out the casting call details and hopefully tryout for a small, non-speaking role on the show. Season 2 of Stranger Things, which was filmed last year, picks up the story a year later and this time deals with the show’s characters trying to deal with the happenings of season 1 as they attempt to resume normal lives. Season 3 is now in production and will be filming through fall of 2018. The show was a hit when it came out 2 years back and has managed to not disappoint fans. 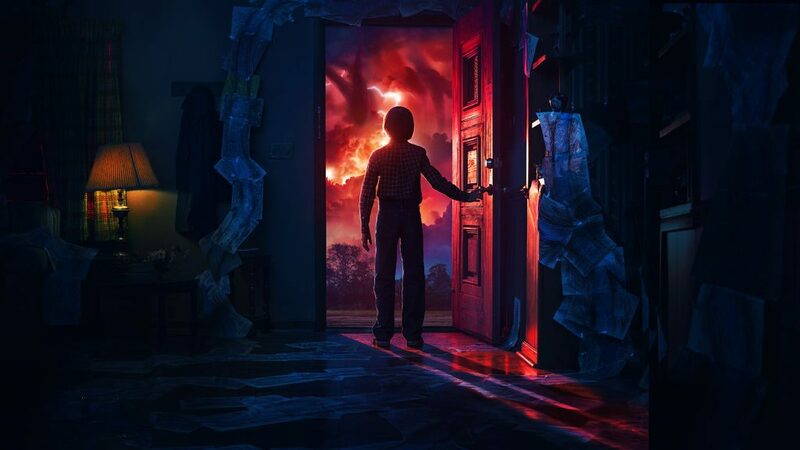 Fans of the show proved to excited to see what happens with the Hawkins gang and seem to be looking forward to see what happens in the upcoming “Stranger Things” season 3. Be sure to check out all the auditions and castings for Stranger Things. *this role will reoccur again during Season 3, we ask that your main location is the surrounding ATL, GA area (no-one from out of town should apply). HAIR REQUIREMENTS: Hair MUST be at least 2″ – 3″ long all around. Hair should all be the same length, no fades or sharp edges are allowed, the only “trendy” cut you can have is bangs, layers, mullet, etc.. we’d much rather your hair be too long than too short – as we have hairstylists that will trim / cut your hair the way it will be needed for the show. OR SEE THE FULL CALENDAR TO SEE ALL CURRENT CASTINGS ON ALL SHOWS. Hi my name is Lana and I’m 15. I live in San Antonio Texas. I have long dark brown hair, big hazel eyes and I am 4’10 (pretty damn short), and I weigh 105 pounds. I would love to play a short role or and extra in Stranger things any season. It could be season 3 or seasons that are coming out in the future. I am pretty small so my size is small for all the cloths I wear. I get along with people easily and I try my hardest. I hope I could some day be apart of the stranger thing family. Please email me anytime and if you need anyone I would love to fill in. Thank you so much and I hope you see this message. I will love to be there. Hi I’m Madison Masters. I am 13 years old. I’m Caucasian, female, and I have shoulder length brown hair and brown eyes. I know you see “oh I would love to act” or “it’s my dream to be on stranger things. It’s probably a dream for everyone. I would personally love to be on stranger things because I can learn more about the 80’s and I could get great advice from other actors. I don’t care if I get a simple and small role. This just made my day Thank You. I’m available to be an extra for season 3 of Stranger Things. I’m an African American woman with light brown skin, 5’6, thin with dark brown hair. Please let me know if you are still in need, thanks! The site to submit extras is down at the moment, but I’m leaving my email if you sound interested. Please get in contact! How on Earth do I become an Extra? This is almost to good to be true. I think I am what someone would be looking for. Willing to do whatever it takes and is necessary to get myself on the set of Stranger Things. Who do I contact? Is there anyway to get through to someone and get in touch? Hi, y name is Kellie Ann Hughes, I’m 19 years old and would love to audition as an extra. I’m a medium toned African American woman and my height lands about at 5’5″. I have dark natural hair that barely sits past my ears. Please contact me for my resume and picture. I am available and would love to help out with the show. My experience included actress and stand in as well as body double work. Hello, I spent many days an extra in Season One of “Stranger Things” and even have an IMDb credit for it. I was in the funeral scene and in many scenes filmed around the town square. My beard is still full and my head hair is currently long-ish. Please get in touch if you would like me to come back for Season Three. I am a mother of 3. I have kids, long hair, black, dark tanned skin. I 50 pounds and wear glasses. I would love to act on stranger things. Hey, I am 10 years old and my name is Ashunti. I would love to be in a role on stranger things. I am an African american young lady. I did not make may 18 because I fought out on may 19. I submitted an application a while back, but I’m not sure if it went through. I’m 14, 5’4, and have long brown hair with highlights (I’m overweight if I must add://). I live less than an hour from Atlanta, and while I’m SURE there’s no need for lead roles anymore, I would be totally interested in being an extra!! Hi, I have been a back ground actor for 32 years don’t care about speaking parts. I have been in 45 movies, 5 commercials. I have a good resume but at this time I can’t send it my computer is not working right. But if you use me I can bring it. also I can’t get my head shot on here. I’m 76 yrs. young will pass 4 67. My hair is 3 inches long and it is white. I’m 5’8 150 wt. I’m available any day. I’ve work 4 just about every casting co. in Atlanta. Would really like to wk. on this film. Thank you. my nick name is Hollywood, that’s what my friends calls me. Hello, my name is Kristina, and I am an 11 year old girl. It is my DREAM to be on Stranger Things, and though I live in MA, I know my family would chip in to send me to GA, and I could probably stay with family I have there. I’m willing to do anything, cut my hair, go on a diet, whatever. I would prefer a lead role, but I barely have any experience, so I’m hoping to become an extra, and will be able to be in more than 1 episode if needed. Yes, I’m 11, but I’m only about 3 inches shorter than Millie. I would DIE for at least a supporting role, and I doubt I’ll get one, but hey, miracles do happen, am I right? I heard to be more than an extra you need an agent, which I don’t have. I’m just the nerdy girl of the 5th grade. If there’s any way someone could get me a supporting role, out of the goodness in their hearts, not because of money, I would be eternally grateful. And if you do want money, I’ll give you some of my paycheck if I get a role. I don’t care about the money, I care about fulfilling my dream. My son Caleb is 8 1/2, Caucasian, dirty blonde hair, blue eyes. He would love to be in Stranger things. Please contact us if you have any opens spots for him. Thank you for your time. Hello my name is Marcus Sheldon, I am 9 yrs old and would love to audition for a role in Stranger Things. I am mulatto with blonde short curly hair. I’m really tall for my age and people tell me that I look like I’m at least 11 yrs old. Hello there! I am a Canadian actress but I am willing to come out do an extra role! My hair is shoulder length, it touches my collar bone. I’d be willing to do some layers in it if need be, but I don’t know if I can go shorter because I am growing it out for another film role right now. I am not too busy these days and will be willing to come to the casting call. I live in Marietta Ga, Love to entertain and seeking to be successful in my life. This is my granddaughters favorite show. She is 12. She desperately wants to be on the show. Hello, my name is Jade, and I am a 12 year old girl. I would love to audition for a role in Stranger Things. I’m a huge fan of the series. It is my dream to be a kid actor, and be featured in Stranger Things season 3, or the next time new roles are open. I weight 90.0 pounds. I have an Oliv-ish skin tone, and blonde hair, with Hazel Green eyes. I’m Sorry, but you did not fit the necessities. Hello my name is Leslie and I really want a role on the Netflix series “Stranger Things”. I am 12 years old and I think the show is very interesting and exciting. I am open for extra roles or leading roles if available. I really love the show and want to contribute. Thank you for taking the time for reading this. My name is Syraah Dosanjh and I am very very interested in having a part in stranger things next time you cast for new roles. I am very passionate and trying to pursue my dream. I am 13 years old, weighing at 125 pounds and the height of 162.56 centimeters tall. I have hazel green eyes, light brown hair and light skin. I’m available to be an extra. Hello my name is Seth. I want to submit for a role on stranger things but it’s only allowing me to submit my daughter, which I already have. What am I not doing right? Hi, I was wondering if there were any extra roles in Stranger Things. But, mainly I would like a lead role to get a chance to work with my favorite actress Millie Bobby Brown. But if not, I would still like a extra role if there are any spots left. I have a 1965/green/ford/thunderbird. It has been in your series before. I am interested in letting it be used again. I sent a picture in the application field. Hello, how are you I’m trying to audition for a lead role for stranger things. Also I’m available if they need an extra.